SHINNERZ are fast becoming a standard part of the top team's kit for this season. Shinnerz are fantastic as they are worn under socks when playing hockey. 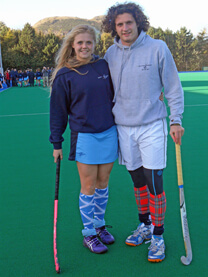 Comfort is paramount and Shinnerz are ideal for players of all ages and abilities. The funky designs are great for boys and girls and I would recommend them to all Hockey players. 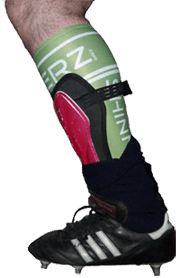 Shinnerz are a shin tube / inner-socks to wear under your shin pad. They help prevent the shin guard rubbing and chaffing your leg by providing an under layer which cushions your leg while wicking away the moisture formed between your leg and the shin pad. Professional attention to detail is maintained throughout the manufacturing process using a high quality breathable sports fabric finished with abrasive resistant thread, providing you with an additional protection layer for your shins. Made in UK in 5 sizes for perfect fit Shinnerz are worn many hockey and football players around the world. Shinnerz inner-socks have a stirrup, are easy to put on, provide a great fit and they don't change your shoe size. Shinnerz are suitable for both astro and field players, for training and match days - for you and your team. 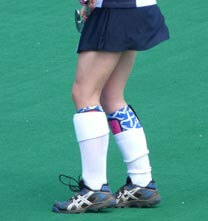 SHINNERZ shin tube, inner socks can be customised for sponsorship, clubs, university and school teams. Bespoke Shinnerz are made using a professional dye-sublimation process enabling permanent full colour prints anywhere on a Shinnerz. All designs, logos, writing, colours, can be detailed and the image won't wear out because the sublimation ink actually dyes the design into the fabric. 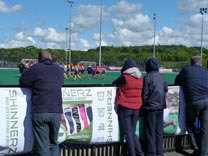 Shinnerz unisex multi-functional sports accessory range are fun, comfortable, practical and cool. 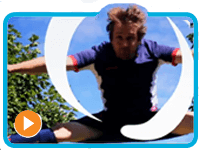 Sports enthusiasts wear Shinnerz, the ideal inner-sock for multiple sports and activities that require shin protection (hockey and football) or simply as an under layer for warmth and smartening up 'socks down' players. Athletes can enjoy the many benefits such as comfort, style and protection against irritating skin conditions - the inner sock deliver a level of comfort relief for those who do suffer from shin guard related allergies. The Shinnerz vibrant colours and unique style suit every personality on the field - designed for male and female hockey and football players of all ages (junior players, youth teams, club and league players, seniors and International squad players) - with funky fun designs and the option to personalise too - ensuring player protection and no more lost kit in the changing room. Before you order, please check your size on the size chart. The personalisation of Shinnerz offers unlimited artwork potential - graphics and text can be positioned anywhere, allowing for totally unique designs. This means that whether you want an all-over design, school / Uni team crest or club logo or name, it can be positioned exactly where you want for the best impact or effect. Create the most unique, practical present for your sporty friend, team or family member - it will be one to remember! Look through our selection of patterns and find the best present, or design your own! I was pleased to have the discount code, it seems they all love Shinnerz and they do a good job. Was tricky to choose for my son - but he loved this design and he plays hockey 4 times a week in them - what a difference no more complaining of shin rash. They arrived the next day too. I will order another pair just a s too as the next discount voucher is released! Defo has the comfort factor - shinliners fits great and feels great - like a second skin - shin pads never felt so good. Love the colours, hockey here i come. Whacky and so cool, I play hockey 4 times a week and have numerous pairs ! #hockey #scoreboard #alwaysknowthescore Durable , low maintenance scorers. Space for advertisers. @loughboroughsport look what's on the way! #hockey#bucs#fieldhockey #loughborough #lookingood !! Shinnerz prevent shin guards rubbing and chafing by providing an underlayer worn next to the skin which cushions your leg while wicking away any moisture tapped between your skin and the shin pad. Shinliners are worn under football / hockey socks. Professional sports fabric that will go the distance, this technical sports gear is designed to help handle serious sweat.S Socks are made using high quality breathable speciality sports fabric finished with abrasive resistant thread. Not only are they comfortable but fast drying and machine washable. Stretch, bend and run - keep your calfs covered and comfortable beneath your shin pads. Soaking any moisture (sweat) so that your shin pads don't 'stick' to your leg and cause irritation. Shinnerz are available in 'perfect fit' for players of all ages in a variety of funky fun designs or can be personalized for your club team or school! Shinnerz - an 'under layer' shin tube / inner sock can turn distracted play caused by irritating rubbing and chaffing into focused play. Shinnerz are designed to be worn underneath shin pads allowing your club/school socks to be worn on the outside - yet smartening up the issue of 'socks down' as your branding / logo can be positioned anywhere on the Shinnerz to maximize coverage and neaten players appearance. Shinnerz limited editions, ensure that your shin guard liners remain unique, one off designs can be printed for teams or players on tour - becoming part of your customised sports wear for every event, every club in every country - suitable for amateur and professional teams kit. Shinnerz are proud to be designed, manufactured and printed in the UK, and we are delighted to post out to players in Australia, Canada, New Zealand, USA and throughout Europe. Country specific flag designs are available. Shinnerz.com © 2011 - 2018 5th Gear Ltd. All Rights Reserved.